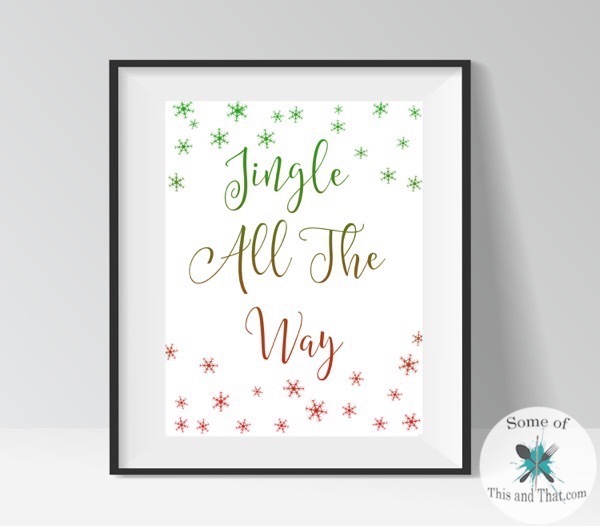 So, today I am posting my final three printables for the holidays! It is time to start preparing for the Spring, and I can not tell you how much I am looking forward to that! While I love the holiday season, I do not like the cold. I moved to North Carolina from Michigan to get away from the cold, but it seems like it has made it ways down to me. While we will probably not get much snow, it is still cold. I would rather decorate my house in snowflakes, than have to go outside and shovel them from the sidewalk! Even though it is not my favorite weather, I will let it slide because I love the Holidays so much. 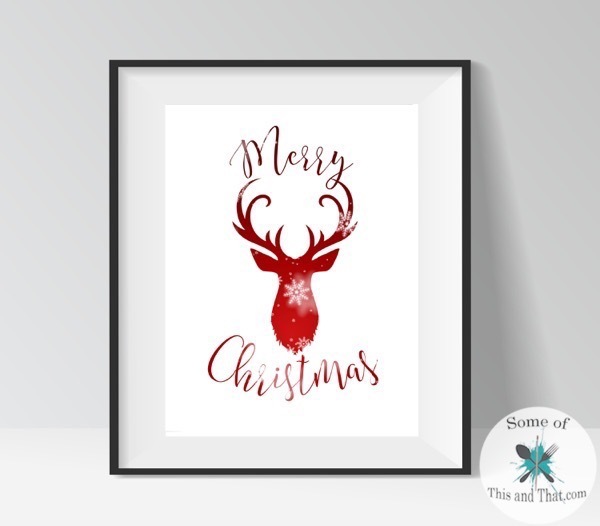 This last printable is not necessarily Holiday themed, I love the ombre and it’s perfect to display all year round. 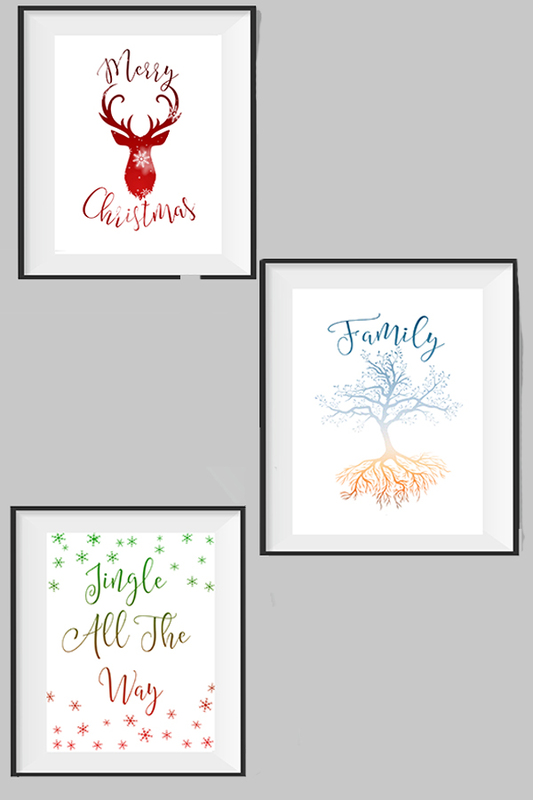 To grab these free holiday printables, fill out the quick form below. A link will be sent via email, so be sure to check your spam file! What is your favorite season? I absolutely LOVE Spring when everything starts to bloom and I can get outside to garden! 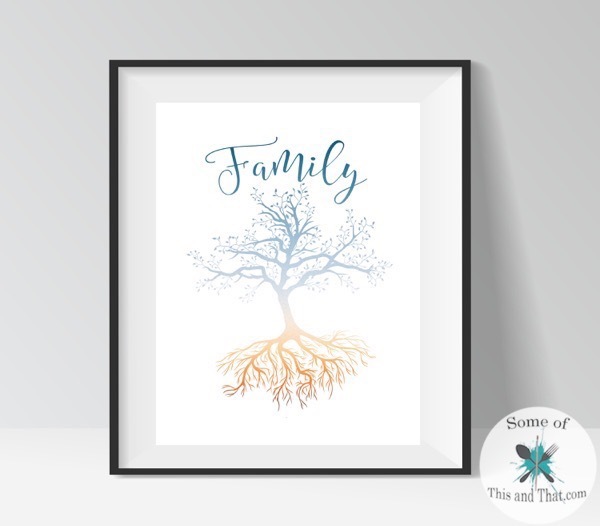 Be sure to check out all of the other Free Printables we have! Or check us out on Pinterest for more DIY ideas! Previous Post: « DIY Peppermint Soap 2 Different Ways!